Like a set of increasingly small wooden Russian nesting dolls placed one inside the other, Key West’s hospital cannot be understood by unpacking it. Reputed as community and tourist-unfriendly, our hospital system consists[i] of two for-profit hospitals—dePoo Hospital on Kennedy Drive [ii] — and Stock Island’s, Lower Keys Medical Center. These two privately nested hospitals are part of a corporate superstructure dubbed, ‘Key West HMA LLC.’ But the Alpha corporation within our hospital system’s nesting set is the Delaware/Tennessee for-profit corporation, Community Health Systems – ‘CHS,’ a Delaware/Tennessee registered fortune 500 corporation listed on the New York Stock Exchange as ‘CYH’—and its Florida affiliate, Community Health Systems, Inc. But it wasn’t always this way and Community Health Systems did not in and of itself transform our local public hospital into one of the lowest rated and most expensive for-profit hospitals in the nation. It was local power brokers, Florida state legislators and their lawyers who accomplished that. Community Health Systems made profit-seeking more aggressive, and if you’ve been listening to a good number of its clients — ruthless, and cruel. However, it can be argued that the greatest threat to excellent, affordable, and corruption-free hospital care in Florida’s lower Keys is the collusion between some local medical professionals and the investors with whom they partner. After a month researching the interwoven set of corporations that impact the quality, availability, and cost of hospital care for Key Westers and tourists, I still have two very basic questions: Did our community Hospital District legally relinquish control of its public hospital? Who actually benefits financially from the pricey for-profit hospitals embraced within our community’s ‘hospital district’? In the end, the lure of profits won out over “the best interests of the public” and a gnarly contradiction surfaced: Thinking that for-profit hospitals, managed by a for-profit, stock market registered corporation, would serve the uninsured and the elderly lacking supplementary Medicare insurance, seemed unrealistic. The Lower Florida Keys Hospital District Board tried to avoid this apparent conflict when entering into the contract with Health Management Associates (HMA)[v] [CHS predecessor] by requiring that this corporation management group, adhere to an “indigent care” agreement. [vi] The deal with HMA was closed in 1999, with the for-profit corporate management group paying $20 million dollars for a 30 year lease and becoming obligated to fulfill its “indigent care” agreement with the Lower Florida Keys Hospital District Board. A problem, apparently never addressed by the Hospital District Board, even before entering into the HMA agreement, was the investigation and monitoring of sets of interlocking executive board memberships that, on paper at least, appeared in conflict. For example, several members of the Hospital Districts’ not-for-profit The Lower Florida Keys Health System, Inc’s board that ran the public hospital on Stock Island, and whose President and Director in 1997 was (and continues to be) Dr. Robin Lockwood, MD, also served on the governing board of the public Health System’s affiliated for-profit dePoo hospital [owned by Florida Keys Medical Center]. Never mind that Key West and many of the other Lower Keys islands are far from demographically rural. But who complains when being rural is a ‘Cash Cow’! Well the Internal Revenue Service (IRS) would if a not-for-profit looked like it might be making lots of money for some for-profit corporate affiliate. In 1998/99 –under threat of having its not-for-profit status revoked — the Lower Florida Keys Health System was audited by the IRS. Then hospital administrator Dr. Robin Lockwood and his accountants asked for additional time to pull together the materials requested by the IRS. After that, no further IRS audits of the Lower Florida Keys Health System could be located. As a not-for-profit 501(c)(3), Lower Keys Health System is expected to file an IRS income report annually to the IRS, something it has, apparently, not done for several years now. “… the district shall supervise such not-for-profit corporation by election of a majority of such not-for-profit corporation’s board and by review and approval of such not-for-profit corporation’s budgets, rates, and charges; its policies regarding medical staff appointment, reappointment, and adverse action, and its policies regarding admission and discharge of patients and purchase of goods and services. Acting like a squatter, HMA reportedly moved its computers into one of the local hospitals before final “public” negotiations had even ended on its deal with the Lower Keys Hospital District Board. The Lords —a jumble of corporation management companies that use all of the newest management ‘bells and whistles.’ For their part, like most feudal serfs—concerned Key Westers at the time–were not yet in a position to make any challenges. Now there is a nascent organization in Key West, armed to the teeth with tales of price gouging and second-rate care, ready to ‘Take Back Its Hospital’ and a former politician, Harry Bethel, is leading the charge. The impoverished serfs must no longer allow modern corporations to come and go as they please, just as CHS may be ready to do right now: Saying that it is ‘over-leveraged,’ Community Health Systems (CHS)[xii] is reportedly looking for a buyer to purchase its operations –and a Chinese billionaire has apparently expressed an interest in doing so. Perhaps, CHS will abandon Key West altogether and we can use our taxpayers muscle to keep the Hospital Board from repeating the mistakes of the past. 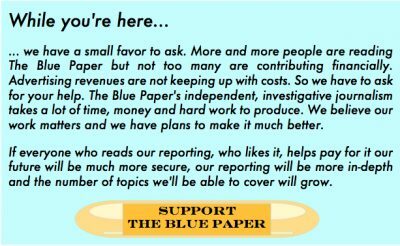 Do the Hospital District Board’s responsibilities to the community disappear when management is passed over to a for-profit corporation rather than a non-profit? If not, is the contract between the Hospital District and HMA in violation of the enabling statute or is the District Board simply asleep at the wheel? To what extent do KDI investors share in the revenue collected by Key West’s CHS managed hospital system? CHS Florida affiliate, Community Health Systems, Inc. (33774). [ii] Note that,dePoo Hospital is a fictitious name registered with the State Department of Corporations by Key West HMA. Florida Keys Medical Center, Inc. (Fla.reg. 585170) is the owner of the real estate property where dePoo is situated, 1200 Kennedy Drive. 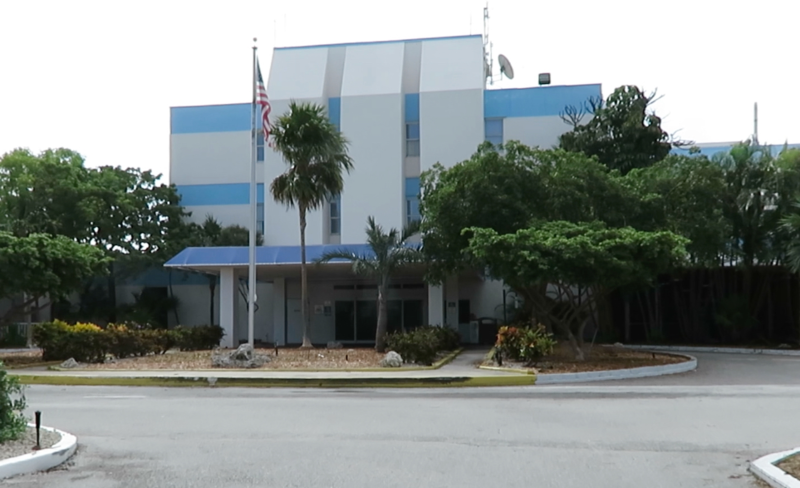 [iii] dePoo is said to be a psychiatric and substance abuse hospital and treatment center, while the Lower Keys Medical Center is an acute care community hospital. Both hospitals have primary practice ‘indigent care’ clinics within their walls. [vi] Indigent care agreement supplied upon request. [xii] After HMA was acquired by Community Health Systems in January of 2014, the name HMA was changed for most of the Community Health System entities to CHS, thus the corporation that is today looking for a buyer is CHS, not HMA. Don’t know much about doctor Lockwood , but do remember he was the primary cheerleader for widening the key west harbour to accommodate the mega cruise ships when that issue went to referendum , which thankfully failed overwhelmingly. I do recall there appeared to be an issue with his veracity regarding certain statements made then. I always wondered why he was involved and never did figure out the motive there. Follow the money? Dr. Lockwood was the KW Chamber of Commerce’s spokesperson at the Chamber’s “channel-widening” referendum forum. During his comments, he said the dirtiest, worst possible cruise ships are calling on Key West, and that’s why the channel needs to be widened, so newer, bigger, more environmentally clean cruises ships can get into Key West. In next breath, he and the Chamber were saying the referendum was not about cruise ships, but merely was about whether or not a study would be done to widen the channel. At the next “channel-widening” referendum, hosted by the boyfriend of the Chamber’s lawyer, Jennifter Hulse, who, until the Chamber’s forum, had been arguing at forums that the referendum was not about cruise shops, but was about jobs, and whatever, both Lockwood and Hulse were on the panel. The audience was allowed to ask questions at that forum. I reminded Lockwood of what he had said at the previous forum, that the dirtiest, worst possible cruise ships were calling on Key West. For a very long time, I added. So what I want to know is, why the Chamber has not been raising bloody hell about that all along? Hulse tried to save Lockwood from my question, by saying she would answer it, even though she had not been at the Chamber’s “channel-widening” forum. During her earlier comments, Hulse had dropped that she was a lawyer, therefore she had a different, better perspective of the issues than non-lawyers. I told Hulse to be quiet, I, too, was a lawyer, and I had addressed my question to Dr. Lockwood, who had made the statement, and not to her. I proceeded to grill Lockwood, who said he did not say that about the cruise sips at the Chamber’s forum. Whereupon, Jolly Benson, also on the panel, who was speaking for the PAC started to defeat the referendum, said he had heard Lockwood say it at the Chamber’s forum. Jolly asked for a show of hands in the audience of anyone else who had heard Lockwood say it? About 20 hands went up. About half the audience. I kept trying to get Lockwood to answer why the Chamber had done nothing about the dirtiest, worst possible cruise ships calling on Key West ,and he would not answer me, and the forum host, a local radio show host, started protecting Lockwood from my questions, and finally the host turned off the microphone I was using where I stood in the audience. If you look at the membership of the hospital board at the appropriate times, you may find the source of some of the malfeasance. One self-serving well-connected KW Conch deceiver comes to mind right away. Fishman’s relying on FS 155.40 is specious. The point of the statute was to make sure the public was very well informed before a community leased out its health care, whether it had enabling legislation as a for-profit or as a non-profit. It by no means suddenly and casually reversed prior specific legislation for each health district. Covan made this clear in her 2010 suit, which I believe she would have won had not Fishman settled. No 990 filings??? And the whole Medicare reimbursement sounds like a scam. COMMENT by Jeanne Nathanson copied from FACEBOOK: I’ve been in Key West for a little over a year. I had an accident and was taken to the LKMC where I was stitched up. Insurance was billed and paid for the ambulance, the hospital, and the surgeon.. Some months later, I received a $1400 bill from a group called MD4ER. I kept asking repeatedly what treatment was provided for this bill since I was conscious the whole time except when I went into surgery. I was given the run around for months. The doctor who they said treated me denied even being there. Then they said it was really a technician who saw me but it was against policy for him to speak to me at all. I got my hospital records and it showed no treatment that amounted to $1400. MD4ER billed my insurance (BC/BS) and it reimbursed only $200. I discovered that MD4ER is owned by an internist with an office in town. I tried to speak to him and his staff told me he didn’t talk to anyone. MD4ER continued to harass me for the rest of the money even stating that I shouldn’t have go to the ER. Then I threatened to go public with what was clearly a scam. After that, MD4ER decided they had made a mistake. All this went on for a year. 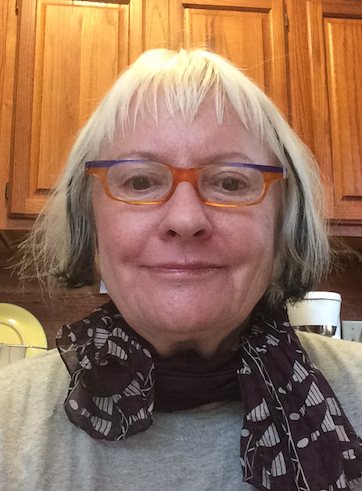 Martha, a whole heap of hard, appreciated work – your two hospital articles. Some acronyms come to mind. SNAFU. FUBAR. Cluster F. To describe the management of Lower Keys Medical Center. Several lawsuits probably would not make anyone particularly happy. Who knows how long the lawsuits would last, given probable appeals? The current and previous hospital management of the hospital, I personally think it is unreasonable for people living way down here at the tip end of this little asteroid belt to expect the hospital to provide the equivalent services provided by mainland hospitals, at the price those services are provided on the mainland. There is a trade off for living way down here – this ain’t the mainland. An analogy, which I raised during Hometown’s candidate forum in 2006, when I was asked, as a county commission candidate, a question about the hurricane evacuation schedule, is the Keys are a hurricane zone, and if you are really worried about hurricanes, then perhaps you should move to where there are no hurricanes. Likewise, this hospital needs to be brought into line with what is reasonable for this location; not what is perfect, what it would be like on the mainland. Maybe six weeks ago, during citizen comments at a city commission meeting, I told the mayor and commissioners THEY are the committee to save the hospital. As commissioner Margaret Romero had said at the just past city commission town hall meeting, the last thing this city government needs is another committee. Romero said had been following the citizen grass roots committee to save the hospital on Facebook, and the members of that committee were all over the place. There was little agreement about anything. I told the mayor and commissioners, the hospital crisis is the most important thing facing our community, and you need to get on it, the buck stops with you, not with some committee onto which you can then pass the buck. Each of you should select one whistle blower at the hospital, a doctor, a nurse, a member of hospital staff, and let them tell you how to go about trying to fix the hospital. Mayor Cates and the commissioners looked like deer caught in the headlights at night. Mayor Cates finally said he and the commissioners do not have the expertise or ability to do it. Well if they don’t, who does? Certainly not the Hospital Board. Certainly not the many other related hospital boards and committees, on whose watch this mess has occurred. Meanwhile, the city’s current homeless shelter, known as KOTS, is a major vector for such diseases at MRSA, scabies, pneumonia, tuberculosis, hepatitis and influenza. Part of that is due to the clients themselves being vectors. Part of that is due to the shelter not being designed to be easy to clean and sanitize. A new shelter, which is sanitary and can be easily cleaned is sorely needed. While apparently legions of Keys people agonize over the threat of Zika, they ignore KOTS. If the city and its elected officials and police wish to continue to use the Sheriff’s jail and the hospital as the city’s alternative homeless shelters, then so be it. But let them do it without any pretense that it’s not costing the taxpayers and other residents a heap of money. Homeless people cost more to house and take care of in the jail, than non homeless people cost; and the hospital gets far less reimbursement for treating homeless people, which causes the hospital to have to charge non-homeless people more to offset what it loses treating homeless people. The current helicopter to mainland hospitals provider charges people who can pay, more, to subsidize helicopter rides it donates to people who cannot pay and do not have insurance. WHO IS THAT INTERNIST IN TOWN that owns MD4ER???? We need NAMES!!! This is how we begin to clean this mess. Accountability! Knowledge is power! The more we learn – the more questions we have. * ALSO it is very important we contact our City Commissioners and Mayor about not just holding theses hidden Corporations and their shareholders and attorneys accountable and see they are punished to the fullest extent of the law….we must also TAKE BACK OUR HOSPITAL, seeing that a responsible NON-PROFIT will manage the hospital “IN THE BEST INTEREST OF THE PUBLIC” as stated in 155.40(1), Florida Statutes. We can complain or we can demand justice! This situation WILL CHANGE but it takes ACTION by each and everyone of us. Our City Attorney is supposed to be reviewing actions the city can take regarding the hospital – so contact all of city elected officials as well as county officials (this is not just a city “problem”)…and BOYCOTT the hospital with non-emergency health care needs. Hearing that CHS may be looking to abandon ship and that a Chinese billionaire has expressed interest in buying is good news – BUT ONLY IF OUR LOCAL GOVERNMENTS FULFILL THEIR OBLIGATIONS AND OVERSIGHT – AND THE PUBLIC KEEPS THE PRESSURE ON BY DEMANDING CHANGE, ACCOUNTABILITY AND SAFE, FAIRLY PRICED HEALTHCARE …..THIS CAN ALL BE ACHIEVED, IT HAPPENS ALL OVER THE WORLD! We can and WILL……TAKE BACK OUR HOSPITAL! I am in awe of the depth of your research and exposure of these, what I consider, criminals. To rid ourselves of these parasites will be no easy task, but with your continued exposure of this sick joke of a hospital and mobilization of informed community leaders, we have a good chance. Thank you, Dr. Huggins!